Case studies generally have the following structure: it starts with a problem, then, outlines the various different potential solutions available. This is, then, followed by proven cases where one of the solutions discussed resulted in a company, organization or individual solving the problem outlined. The main purpose of case studies, therefore, is to find a real-life application of a theoretical concept or solution. Most of the time, problems are or can be solved theoretically. The actual implementation of the solution, however, can often be an unpredictable event. The world today is very volatile, and what is true today might not necessarily be true the next day. For any solution to be trusted, it is important to prove that it can be translated from the books or classroom to the field and that it can, then, work effectively when this happens. 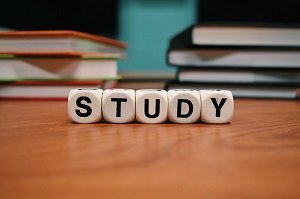 However, for the case study to be truly useful, one must select the right case for study. The first step when choosing a case is to consider the purpose. When determining the purpose, think about the learning points you might wish to illustrate in the case, the people who will read the case study, and how it will eventually be presented to them. The best case study will be one that will allow you to demonstrate the usefulness of the concept being passed across. Further, even with the right content, the tone, language, and style of the case study determine how well it is taken in. When writing or presenting the case study, approach it from a straightforward expression style, one that will emphasize on the most part of the case with respect to the idea being put forth. In the modern dynamic and current world, the most useful information will be the one which is up to date. For instance, in a business environment where one needs to forecast the demand for products they are developing, they will require up to date information on consumer preferences to help them make the right decisions. As a student writing a case study, one of the most important factors to consider when choosing a case for the study is its currency. This does not mean, however, that old case studies are useless. The key is to know when the current case is appropriate, and when it might be useful to incorporate concepts from an old case. Most of the time, case study research involves one specific concept. Therefore, the complexity of the case chosen will determine how and whether the idea is passed across effectively. In situations where an appropriate case might be too complex, then, one might benefit from subdividing the case study into several different sections and choosing the most appropriate one. As a student, the case study is one of the more effective research techniques. We hope that with these tips, choosing and writing case studies will definitely be much easier.